When you get tired of your old Symbian Nokia phone and wish to change to a new start of Android OS, you may be interested in any mobile phone that is running Android OS, such as Samsung, HTC, LG, Sony, Motorola and so on. Well, changing a phone is very easy. However, when you begin to transfer data from your old Symbian Nokia to the new Android phone, like contacts, you may find it a bit difficult. But don't worry, this is the right guide telling you how to perform the Symbian to Android contacts transfer easily. 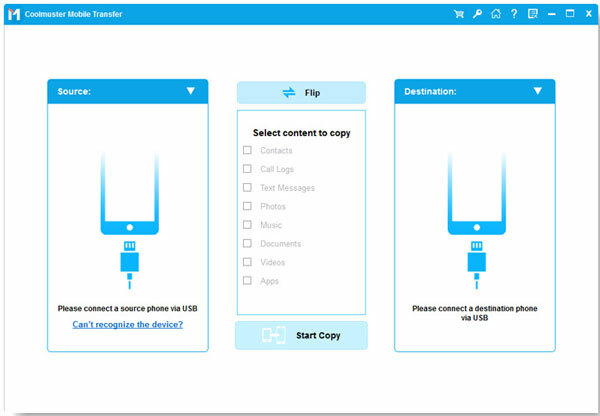 You can draw support from a third-party tool - Coolmuster Mobile Transfer, which is a Symbian to Android transferring program, empowering you to transfer not only contacts, but also photos, videos, music and more between any Android, iOS and Symbian devices. For transferring contacts, Mobile Transfer preserves contact names, phone numbers, job titles, company names, email address and other more contact information. How to Copy Contacts from Symbian Nokia to Android Phone? Launch the Mobile Transfer on your computer after downloading and installing it. Then, you should see its main interface like below. Choose the first "Phone to Phone Transfer" mode. Next, you need to use two USB cables to connect your Symbian and Android phones to the computer. 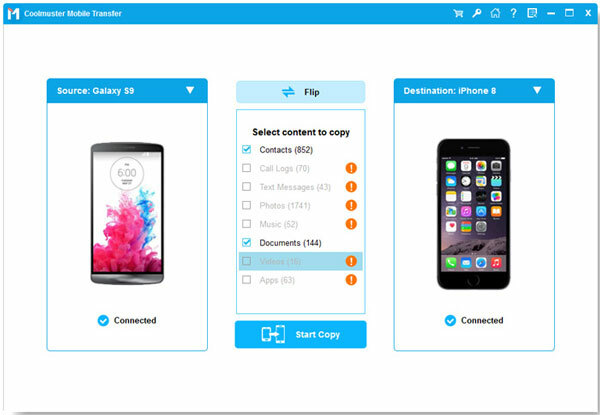 Once the connection is enabled, the two phones, as well as all transferable file types will be detected and scanned. Select the "Contacts" category and all contacts in the two phones will be scanned and displayed here. Just choose the contacts under the Symbian Nokia that you want to transfer from, and click on the left or right arrow to start the transfer.